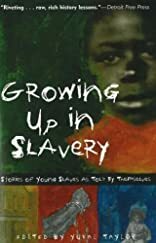 Ten slaves-all under the age of 19-tell stories of enslavement, brutality, and dreams of freedom in this collection culled from full-length autobiographies. These accounts, selected to help teenagers relate to the horrific experiences of slaves their own age living in the not-so-distant past, include stories of young slaves torn from their mothers and families, suffering from starvation, and being whipped and tortured. But these are not all tales of deprivation and violence; teenagers will relate to accounts of slaves challenging authority, playing games, telling jokes, and falling in love. These stories cover the range of the slave experience, from the passage in slave ships across the Atlantic-and daily life as a slave both on large plantations and in small-city dwellings-to escaping slavery and fighting in the Civil War. The writings of Olaudah Equiano, Frederick Douglass, William Wells Brown, Harriet Jacobs, Elizabeth Keckley, and other lesser-known slaves are included. About Yuval Taylor (Editor) : Yuval Taylor is a published author and an editor of young adult books. 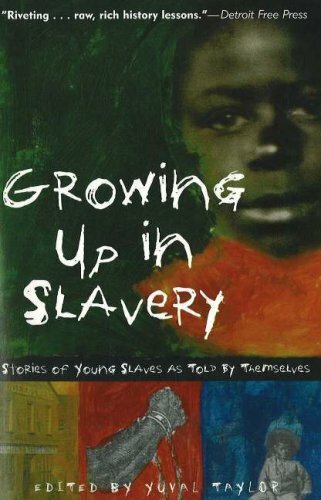 Some of the published credits of Yuval Taylor include Growing Up in Slavery: Stories of Young Slaves as Told By Themselves.